Five different room types make up Ovolo The Valley, aimed at catering to different types of traveller. Described as “a whimsical oasis of colour and art, with surprising hints of quirkiness”, Ovolo The Valley has officially opened its doors, marking the group’s second presence in Brisbane. Positioned in Fortitude Valley on the CBD fringe, Ovolo The Valley builds on the successful opening earlier this year of Ovolo Inchcolm. 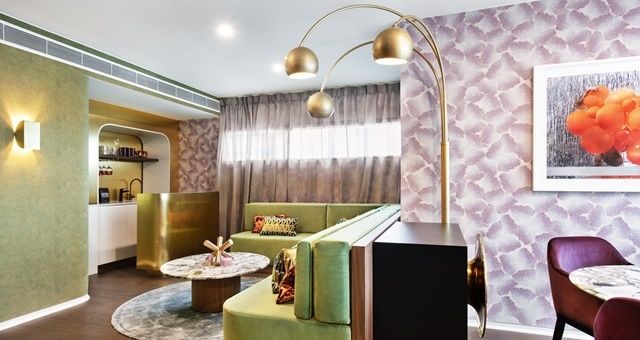 The 103 rooms and public spaces are all fitted with custom wallpaper, quirky furniture and eccentric illustrations, designed to showcase the Ovolo personality. Five different room styles are on offer to guests, each aimed at a different market segment and guest type. Opening with ‘Medium’, this room type is designed for short stay guests needing comfort yet everything they need at hand. Next is ‘Large’, with rooms designed as open-plan for more space. The same room type, albeit fitted with a large spa bath makes up the next category, appropriately titled ‘Large Spa’. Guests in ‘The Valley Suite’ are located on the top floor and enjoy a private balcony, while ‘Rockstar Suites’ are designed for high-flying corporate travellers seeking a space to entertain as much as work or sleep. One of the ‘Rockstar Suites’ is decorated in a style befitting the late David Bowie. Public facilities are equally as eclectic, with a meeting room titled ‘B.I.G’. Guests can also enjoy a rooftop swimming pool, fitness centre and sauna along with colourful lobby decorated with curious art pieces commissioned to artist Kathleen Wilson, wallpaper and specially designed furniture. All guests enjoy free wi-fi and minibar, laundry facilities for self-service, a social happy hour and “a loot bag full of treats” which is placed inside guest rooms. An equally quirky hotel restaurant and bar concept will open in early 2019 under the creative culinary mind of restaranteur Justin North. 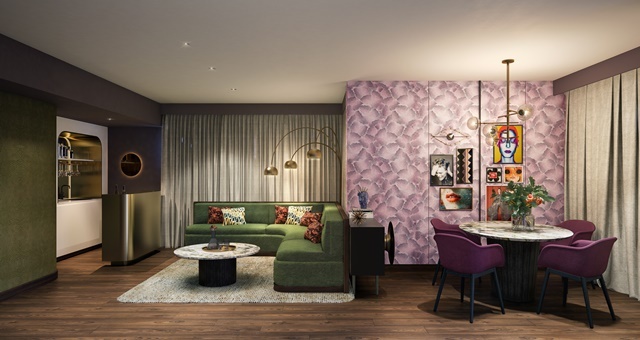 Ovolo Group CEO Girish Jhunjhnuwala said the new Ovolo The Valley is sure to become a market leader in Brisbane’s hotel scene.